A110-1 TRNG FLTS PROHIBITED. GA FLTS MUST TRMT AT THE FBO OR US CUSTOMS UNLESS APVD BY AMGR. A110-10 VEHICLES PARKED ALONG SOUTH END OF TWY 'S'. A110-14 133 AW AFLD MGMT - 324.1 REMARKS: (CALL LIGHTHOUSE). A110-15 COMMUNICATIONS: MINNEAPOLIS AIR RESERVE STATION JOINT COMD POST - 252.1 REMARKS: CALL NORTHSTAR. A110-16 934 AW AFLD MGMT - PTD 282.675 REMARKS: (CALL VIKING OPS). A110-17 REMARKS: AFRC 934 AW: CTC PTD (VIKING OPS) 20 MIN PRIOR LDG. 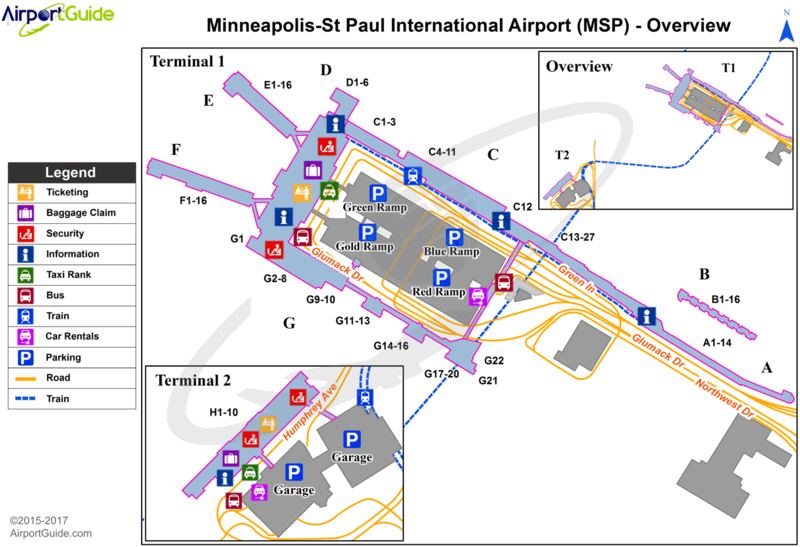 A110-19 ALL UNSCHEDULED ACFT AT TERMINAL 2-HUMPHREY ARE REQUIRED TO CTC TERMINAL 2 GATE CONTROL ON 122.95 OR CALL 612-726-5742 PRIOR TO ARR. 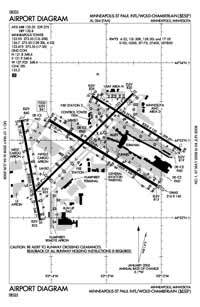 A110-2 FOR NOISE ABATEMENT PROCEDURES CALL (612) 726-9411; NO STAGE 1 CATEGORY CIVIL ACFT; NIGHTTIME HRS ARE 2230-0600. A110-20 ALL GROUP VI AIRCRAFT, WINGSPAN GREATER THAN 214 FEET, NEED TO CONTACT AIRSIDE OPERATIONS AT (612) 726-5111 PRIOR TO ARRIVAL TO OBTAIN (PRIOR PERMISSION REQUIRED) PPR. A110-21 RY STATUS LGTS ARE IN OPN. A110-22 ALL GA ACFT WITH LESS THAN 20 PSGRS THAT NEED TO CLEAR US CUSTOMS SHOULD CTC SIGNATURE FLT SUPPORT AT 128.95 OR 612-726-5700 PRIOR TO ARR. A110-3 BIRDS ON & INVOF ARPT. A110-6 MILITARY REMARKS: ARFC 934 AW: OPR 1300--400Z++ MON-THU, 1300-2230Z++ FRI, CLSD WKEND AND HOL, CTC AFLD MGMT FOR OPR HRS DURING UNIT TRAINING ASSEMBLY WKEND. TRANS ACFT MUST OPR 1300-2145Z++ MON-FRI, EXC HOL UNLESS DIRECTLY SUPPORTING 934 AW OR OTHER SPECIAL CIRCUMSTANCES. A110-7 MILITARY RSTD: NO HAZ CL/DIV1.1 OR 1.2 EXPLOSIVES PERMITTED. LOADING OR UNLOADING OF HAZ CL/DIV 1.3, 1.4, 1.5 0R 1.6 MUST BE APV BY ARPT DRCT PRIOR TO FLT. A110-8 COMPLEX GEOMETRY AT RY 04 APPROACH END. RY 04 DEPARTURES CHECK COMPASS TO VERIFY CORRECT RY HEADING. A57-04 APCH RATIO 43:1 FM DSPLCD THLD, 102 FT TREE, 4456 FT FM DSPLCD THLD, 834 FT 'L' OF CNTRLN. A57-22 APCH RATIO 34:1 FM DSPLCD THR; 68 FT TREE 2337 FT FM DSPLCD THLD. A58-22 4 FT FENCE 500 FT RIGHT OF CNTRLN. A70 FUEL - CIV RAMP: A+, NC-100LL (PHONE 612-726-5700). A70 1 FUEL - MIL RAMP: (MILOPS). E60-12R ENGINEERED MATERIALS ARRESTING SYSTEM (EMAS) 160 FT IN LENGTH BY 216 FT IN WIDTH LCTD AT DER 12R. Standard 2,400 Foot High Intensity Approach Lighting System With Sequenced Flashers, Cat. II or III Config. Standard 2,400 Foot High Intensity Approach Lighting System With Sequenced Flashers, Cat. II or III Config. Standard 2,400 Foot High Intensity Approach Lighting System With Sequenced Flashers, Cat. II or III Config.